The photo prompt this week at 52 Photos Project is Release. I let go of the stressors of my day in my garden; tending to my beautiful plants. There is something so rewarding about watching plants grow, thrive and produce fruit and bloom. I never tire of the beauty in my garden. Want to play along with me? go check out 52 Photos Project yourself. Posted on July 3, 2012, in Moncton, Photography, Spirituality, Well Being and tagged 52 Photos Project, aphrodite, gardening, photo challenge, photography, roses, staking roses, unwinding, vines. Bookmark the permalink. 4 Comments. Beautiful roses. 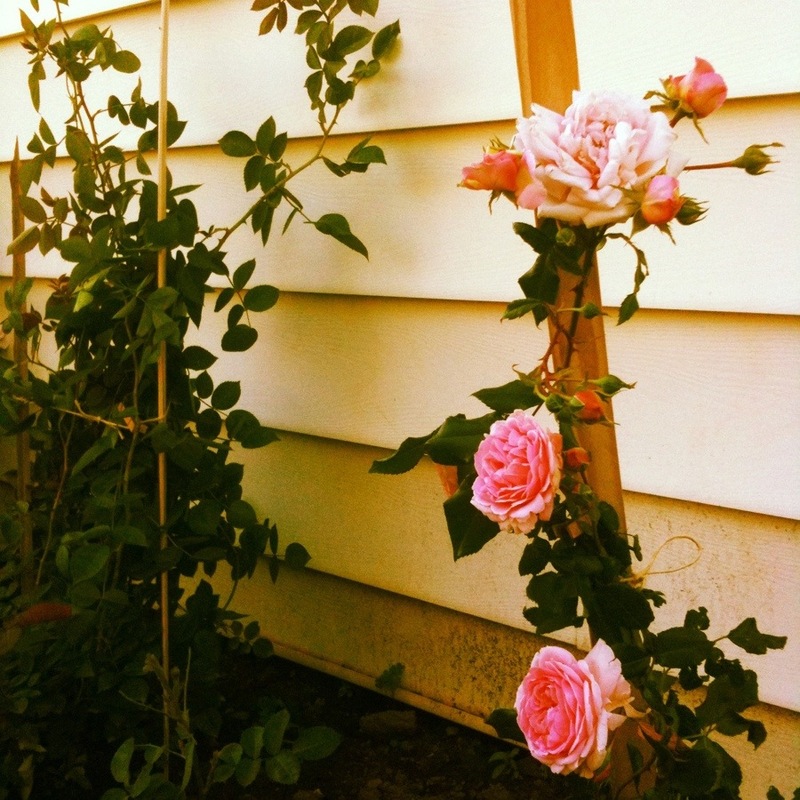 Thanks for sharing your garden blooms with us! Your welcome, beautiful things are much more beautiful when we share their beauty with others. 🙂 🙂 That is ALOT of beauty. Thanks for stopping by. Beautiful! Although my wife is the Gardner in our household, I do find flowers to be a very relaxing subject. Blessings! Blessings to you as well, thanks for stopping in and taking time to comment.